Business cards are something that have been on my to do list for a while as well as my other half. I've had business cards made for my blog in the past but nothing that was really note worthy so I was looking for something new and fresh. My other half, a.k.a scottishbeardman, as some of you might know is a bearded model and has really needed to acquire himself decent business cards for some time now. This is where Aura Print came in. 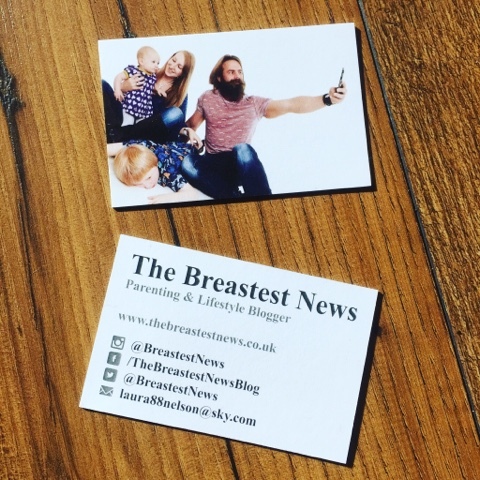 They were looking for bloggers to review some of their business cards which really couldn't have came at a better time for us. Here's a little bit about Aura Print in their own words: "At Aura Print, we know how important your job is to you. By listening to our customers over the last 16 years, we know how much you want your print work to look fantastic; that you don’t want to sit around waiting for it; and you want fair, transparent prices. We’re proud of our Yorkshire values. You can expect from us: honesty, integrity, straight talk, hard work, pride, quality and value. From business stationery and training literature to marketing and sales collateral, banner stands, exhibition material and more. Aura Print is here to provide you with both design and print, fulfilled and delivered with care, for every kind of printed matter." I received 125 double sided Impakt Coloured Core 800gsm luxury business cards to review and so did my other half. I'll just start by saying I had no idea what gsm stood for however after a quick internet search is seems gsm stands for grams per square meter and the higher the gsm, on business cards, the thicker they will be. I'm told a good business card should be around 280gsm or higher so it doesn't look flimsy or fold easily. Right enough you don't want to have an amazing design on your business cards and then they get all crumpled and bent because you didn't pick a thicker card. With these 800gsm cards there's no chance of this happening. They're very sturdy (like a plastic card) and brilliant quality. For my cards, at the start, I asked for an image of myself to be made into a cartoon sort of drawing but I was told that wasn't possible unfortunately. Aura Print did try and make me up some cards which resembled my blog colours but I just didn't like them at all, they weren't me. Aura Print took no offence in this though and I even had a quick chat with one of their designers, Mark, to see what we could do. In the end I went with a simple family photo that I had from our last photoshoot and for the other side I asked to keep it plain with black and grey writing. When I was emailed the proofs I was thrilled and gave the thumbs up to go ahead to print. Ordering from the Aura Print website is super easy and I even did a mock test myself to see how I would get on. For the Impakt Colour Core 800gsm luxury business cards you select your format (single or double sided), if you would like portrait or landscape, full colour or black and white, and then you get to pick the core colour of the cards. These cards a very thick so its nice to have a colour running through the middle, I choose sky blue which looks lovely on my simple cards. Last but not least you can either have Aura Print design you a card for an extra £22.50 or you can upload your own design online or send by email. Like I said I had my own photo but my other half had his own design to use. So my other half's cards started off with a logo that Aura Print had designed. It was a silhouette of a long haired bearded man but because the hair was just a bit too long I asked if we could use our own logo instead. This was no problem for Aura Print and they styled the card up nicely with our chosen logo. They turned out pretty awesome if I do say so and the other half's been handing out his new cards left right and centre. Happy days! The Impakt Coloured Core 800gsm luxury business cards, without asking Aura Print to design anything, will cost £42 (incl VAT) which works out at around 34p per card. I believe business cards make a definite first impression on what people can expect from you so it's worth investing a little more to get a decent quality product. I really like the fact that Aura Print also dispatch your order 2 working days after approval at no extra charge which means they arrive pretty quickly. Overall the other half and I are very happy with our business cards and we both finally have something which we can hand out at events. 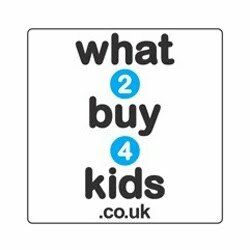 They're stylish, eye catching and hopefully because of the quality people will actually hold on to them or pass them on to friends or interested parties. Please check out www.auraprint.co.uk for more products and information. You can also see what they get up to on Facebook and Twitter so why not pop over and say hello. 1 comments on "Review: Aura Print Business Cards"